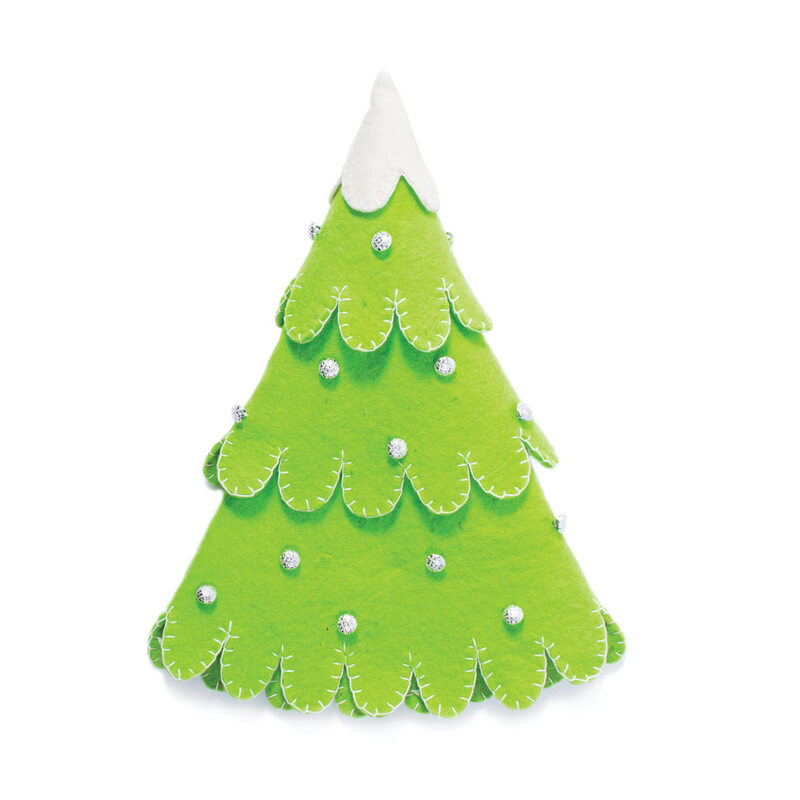 This unique tree provides a fun way to celebrate the Advent season. 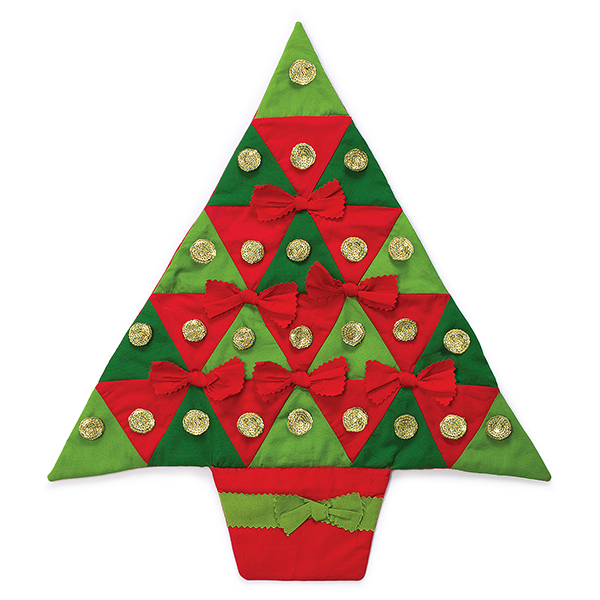 The tree is made out of felt and features star, bell, and heart ornaments. Tree measures 14.5-by-12 inches. Tree comes folded, and it is recommended to put it over a tree shaped form or liter bottle to maintain its form. The natural felt is hand dyed and slightly varies in color. 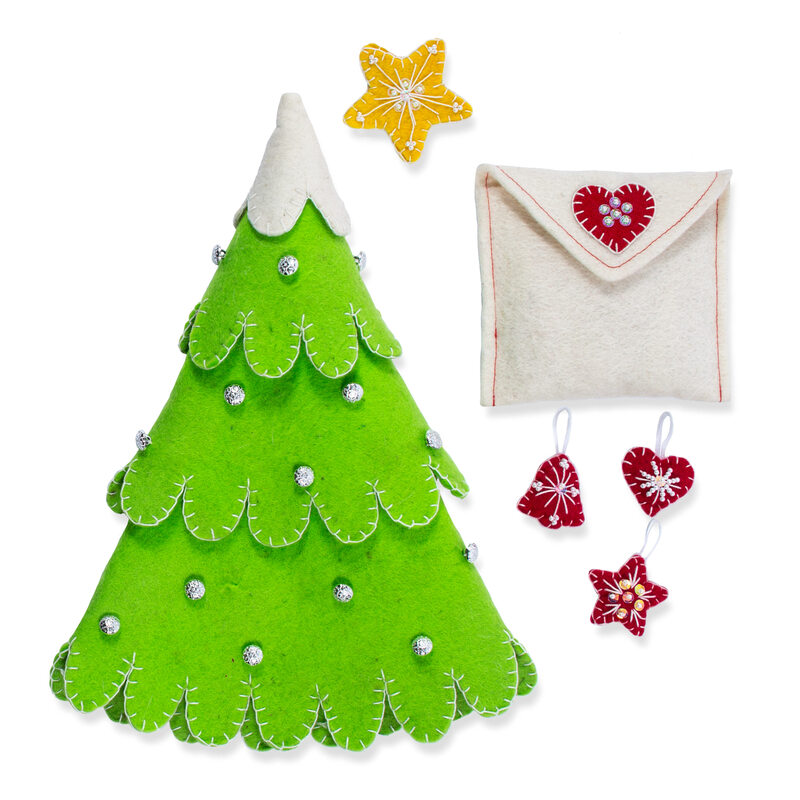 Includes 8 stars, 8 bell, and 8 heart ornaments and a star topper that are packaged in a felt envelope. This unique tree provides a fun way to celebrate the Advent season. 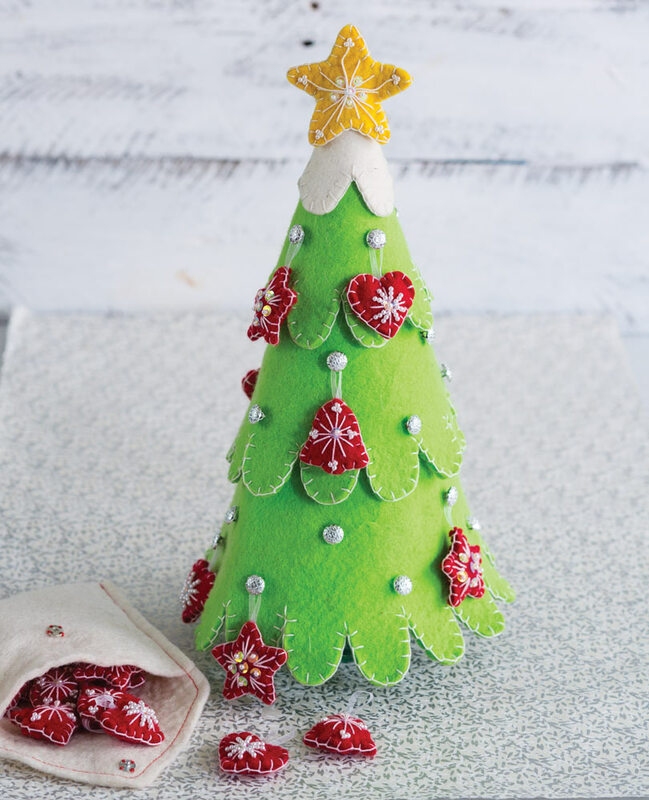 The tree is made out of felt and features star, bell, and heart ornaments. 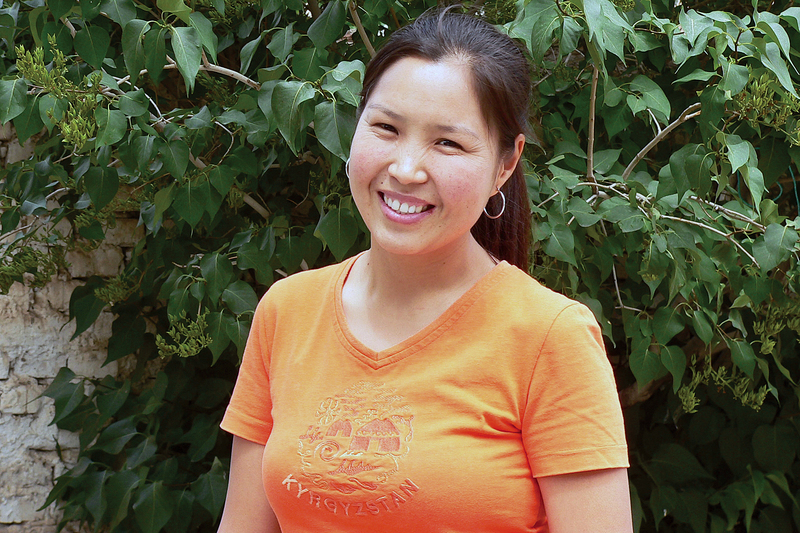 Made by women employed by Master’s Handicrafts in Kyrgyzstan who utilize their skills to create beautiful pieces of art while receiving an income in order to help support their families. 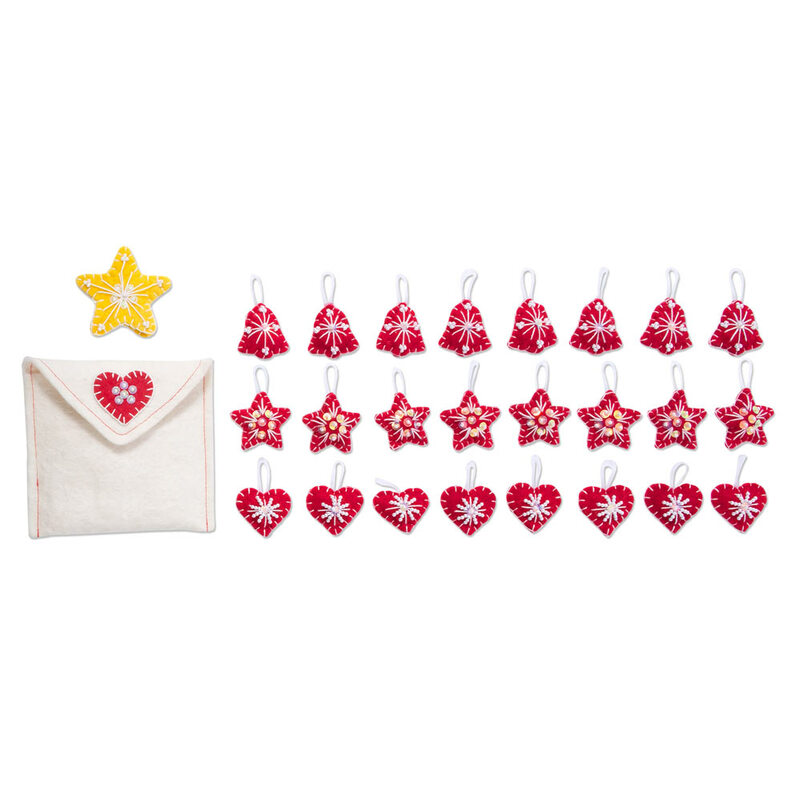 Includes 8 star, 8 bell, and 8 heart ornaments and a star topper that are packaged in a felt envelope. Tree measures 14.5-by-12 inches. 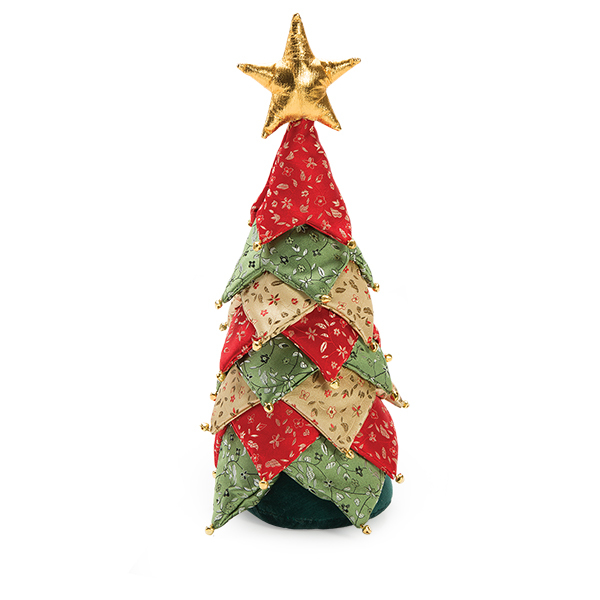 Tree comes folded, and it is recommended to put it over a tree shaped form or liter bottle to maintain its form. The natural felt is hand dyed and slightly varies in color.